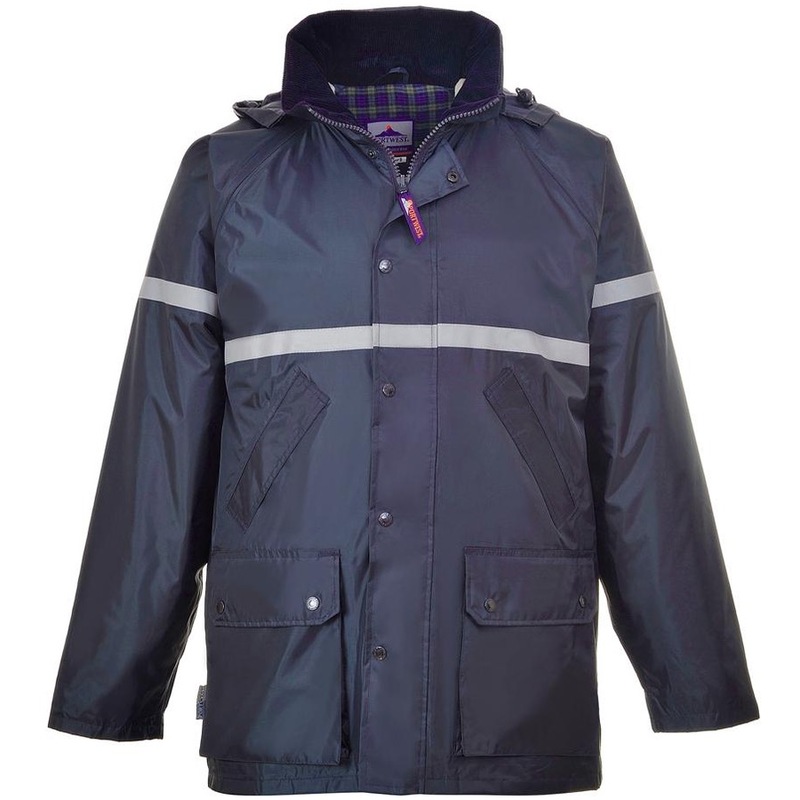 This Jacket includes multiple features and benefits, such as large bellow pockets, warm brushed cotton lining, generous hood. Also has the addtion of 2.5cm wide reflective tape across the check and arms to enhance wearer visibility. When functionality, added visibility and waterproof protection is required, look no further than the Iona Lite Range. These garments are certified to the highest waterproof standard EN343 (Class 3) and are seam taped to ensure total protection against the rain.